Panel Built, Inc. is here to provide the perfect prefabricated guard house for any desired application. In order to help you make a decision in finding the best prefabricated building for your workplace, business, or organization, Panel Built offers a number of top-grade selections to choose from in terms of materials and design. Thanks to almost twenty years of being in business, Panel Built offers the expertise, know-how, and quality workmanship to back up their exclusive warranties and give you peace of mind with a product that will be reliable and sturdy for many years to come. Panel Built offers prefabricated exterior buildings including booths, shacks, and more, offering a number of features and customizable options to fit your needs, whatever they may be. The modular designs used for security booths and exterior buildings conveniently allows for easy-to-install additions or modifications, such as a roof mount HVAC system. With numerous roofing styles and materials available for nearly every part of the structure, the appearance can be changed to suit any location or aesthetic as needed. 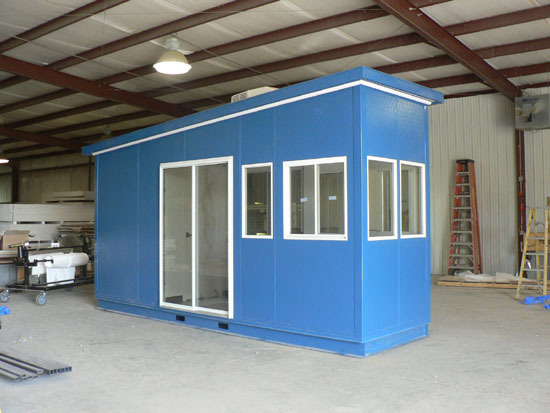 In addition to exterior guard booths, many types of prefabricated buildings and structures are available from Panel Built. Their specializations include modular offices, mezzanines and mezzanine systems, safety barriers and guardrails, stair systems, access ladders, and much more. Because these prefabricated products are made in a factory setting under the control and supervision of experts, consumers are able to benefit by getting higher quality products faster. Prefab buildings like a portable guard house, modular office, or exterior shacks offer the additional convenience and fast service any workplace needs. The time-consuming need for construction workers to be on-site for days or weeks at a time is unnecessary, allowing business to continue as usual with minimal interruption or hassle. There are many customizable options for such structures, including materials used, the style of the roofs and doors, and the dimensions of the building itself, allowing Panel Built to deliver products that specifically suit the need of each individual client. The Story of Panel Built, Inc. Founded in 1995, Panel Built, Inc. came into existence with a well-developed goal and plan to provide prefabricated construction with the best quality products, top notch customer service, and expert workmanship. Nearly twenty years later, Panel Built remains one of the best sources in the country for reliable construction and excellent customer service with the best modular guard house and prefabricated construction products to offer. 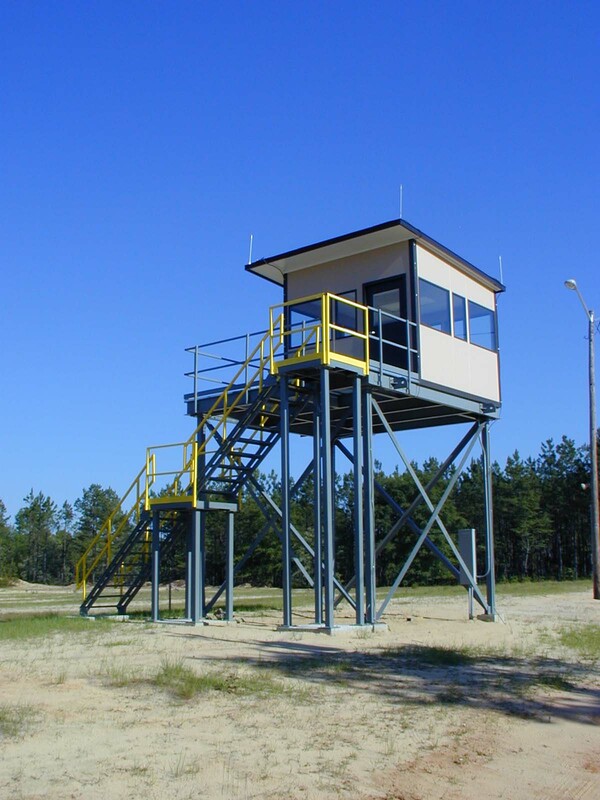 With years of experience and hundreds of satisfied clients under their belts, purchasing Panel Built prefabricated guard houses is a no-brainer. Past and present clients of Panel Built include several branches of armed forces including the Air Force, National Guard, Coast Guard, and U.S. Border Patrol, as well as businesses like UPS, Wal-Mart, Sears, Costco, JC Penny, Toyota, Honda, Ford, and many more. Panel Built also recognizes that in order to best serve and help customers, giving back and making efforts to help and support people everywhere can have a huge impact. In order to honor and support our country and community, Panel Built participates in connection with AnySoldier.com in order to organize and send monthly care packages to active duty troops across the globe. Using success to contribute to a better community is one of the many ways Panel Built works to help others, aside from offering its best as a business. Don’t hesitate, contact us today. One of our representatives will be more than willing and ready to assist you in any way they can.